Sweet lord, it has been some time since I last posted a review on this site! Kung Fu Sale - VHS Job Lot!!! District 13 (2004) was one of the surprise hits of the decade and it is no surprise to see a seqel emerge. Given it was produced five years after the original, could Cyril Raffaelli and David Belle reproduce their magic from the original? Was Ong Bak 2 (OB2) the most anticipated martial arts movie in the last decade? – almost certainly YES! 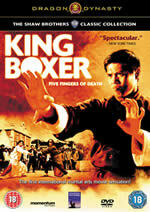 The original Ong Bak was a genre defining launch-pad for martial artist Tony Jaa and the Thai action-movie scene. 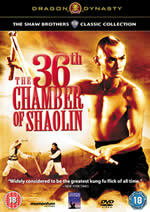 It gained worldwide distribution and remains a hugely successful DVD release. OB2 was an even more ambitious project both in terms of scale and for Tony Jaa in particular, who took on the directing reins in this period epic. Before OB2 reached the studio there had been several years of delay, confusion, breakdowns on TV (by Tony) and rumours of triad meddling; so it came as a relief to everyone when it eventually hit the screens in the latter part of 2009. From director Wong Kar Wai comes ASHES OF TIME REDUX, the definitive, re-stored version with score by Yo-Yo Ma, on DVD March 3rd! Ashes of Time, is an epic martial arts masterpiece of larger-than-life characters, breathtaking landscapes and exquisite fight scenes. The story centers on a heartbroken and cynical man who spends his days alone in the desert, connecting expert swordsmen with those seeking revenge and willing to pay for it. As Ouyang narrates his tale, interweaving the stories of his unusual clients, old friends and future foes, he begins to realize the mistakes of his own past, and how his fear of rejection may have led him to a life of exile. After a period of several years with no Shaw Brothers releases from Momentum Pictures they are now in the process of introducing Dragon Dynasty discs to the UK. The first two titles from the legendary Shaw Brothers stable are obvious choices, both 36th Chamber of Shaolin and King Boxer are genre classics that will no doubt sell like hot cakes! Both will be part of the fantastically remastered Celestial collection and packed with loads of extras (including a Tarantino commentary on King Boxer). These titles are not to be missed. Fancy something a bit crazy - well Takashi Miike's lastest film "Sukiyaki Western Django" may just do the trick!!! SUKIYAKI WESTERN DJANGO (cert. 15) will be released on DVD by Contender Home Entertainment on 2nd February 2009. Special Features include: deleted scenes; Q&A with Quentin Tarantino; English 5.1, Stereo and DTS audio options. Happy New Year to everyone! To the observant people among us, you will notice some degree of a facelift for the site. We have now plenty more news, essays and resources on the legendary Shaw Brothers - enjoy!!! What better way to finish off the weekend, than by read up on one of the most talked about Thai films since Tom Yum Goong (Warrior King). Showcasing the talents of emerging martial arts heroine Jeeja Yanin! DVD Review - Mad Detective (2007) - More Modern Johnnie To! CD Review - Kung Fu Super Sounds (2008) - Shaw Brothers Soundtracks! Compiled and produced Joel Martin (Dawn of the Dead, Quiet Village), Lovely Jon (Jigoku) and Cherrystones (Cherrystones Rocks, Jigoku and more), Kung Fu Super Sounds: Unreleased Soundtracks from the De Wolfe Music Library as Featured in the Shaw Brothers Martial Arts Movies 1976-1984 brings together for the very first time a wild selection of music as used in those classic 70s and 80s Shaw Brothers Martial Arts Movies - all of which originated from the De Wolfe Music library. DVD Review - Pulse (2001) - Modern Japanese Horror! Japanese horror is currently hot property on the film market after the success of The Ring, The Eye and The Grudge series (both Japanese versions and international remakes). Pulse is another entry in this genre from 2001, the big question is whether this horror is good enought to set the Pulse racing!!! DVD Review - Typhoon (2005) - Modern Korean Action! Mention the latest Korean hit and you'll have an international DVD distributor go weak at the knees. The land that brought us Brotherhood, Old Boy and Arahan continues to impress at the box office. Typhoon represents an ambitious action fest (somewhere between Bourne series and John Woo), but does it really take off? Hong Kong New Wave Cinema by Pak Tong Cheuk maps the birth and eventual decline of celebrated 'New Wave' Hong Kong Cinema. Tong relates the movement to a wider historical context of the developing society and culture of Hong Kong at that time. His study of the celebrated golden age of Hong Kong film contextualises 'New Wave' and describes its wide-reaching effects upon contemporary cinema in Hong Kong, the greater China region and far beyond. Jet Li Biography - The last great martial arts hero? Jet Li's performances over the past three decades have left an impact on the genre that is beyond question. Even though his career has stalled on several occasions Jet has successfully reinvented himself in a number of guises. Whilst shunning the media spotlight when others have embraced it, he has still developed a legacy as the last great martial arts movie star! DVD Review - Divergence (2005) - Modern Hong Kong Action! Divergence is another outing for some of Hong Kong's most ubiquitous pin-ups of the past decade, starring the trinity of Aaron Kwok, Ekin Cheng and Daniel Wu. Directed by family friendly action man Benny Chan, Divergence is a modern Hong Kong 'action-drama' trying to deliver more than just bullets and bloodshed!